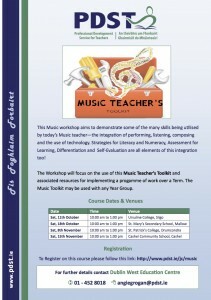 This Music workshop aims to demonstrate some of the many skills being utilised by today’s Music teacher—the integration of performing, listening, composing and the use of technology. Strategies for Literacy and Numeracy, Assessment for Learning, Differentiation and Self-Evaluation are all elements of this integration too! 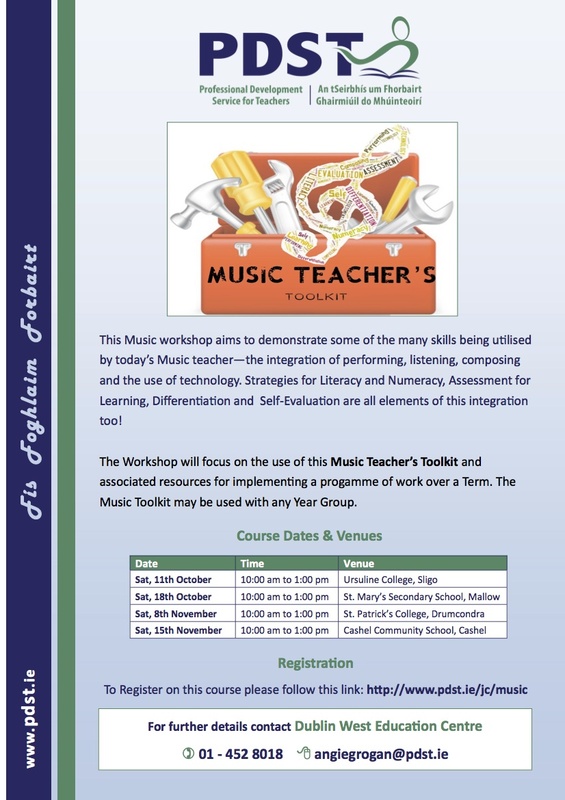 The Workshop will focus on the use of this Music Teacher’s Toolkit and associated resources for implementing a progamme of work over a Term. The Music Toolkit may be used with any Year Group.